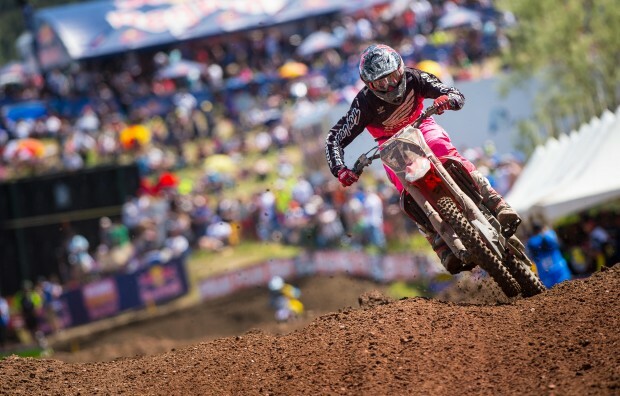 Round three of the AMA Pro Motocross championship saw Team Honda HRC’s Cole Seely record his best finish of the AMA Pro Motocross season so far. 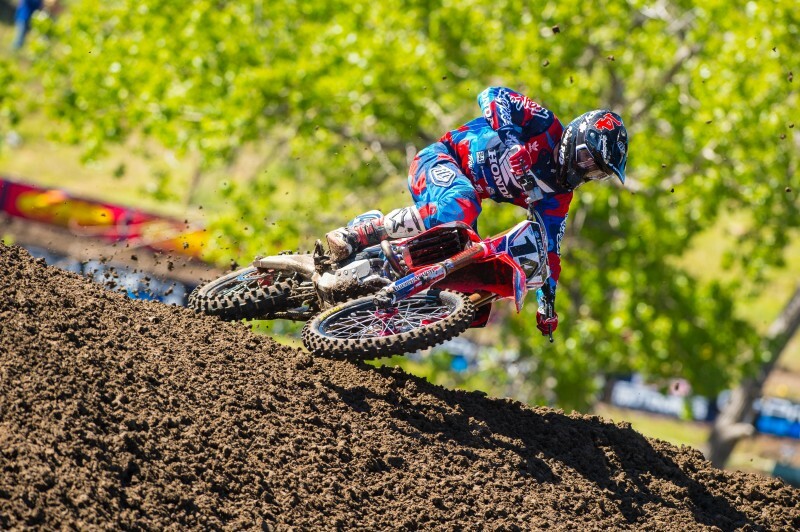 As was the case in AMA Supercross, the 450 class rookie had gotten off to a rocky start, but he has continued to make progress each weekend and was able to notch a top-five finish in Colorado. In the first moto, Seely rode to a respectable eighth place after a mediocre start left him mid-pack on the first lap. 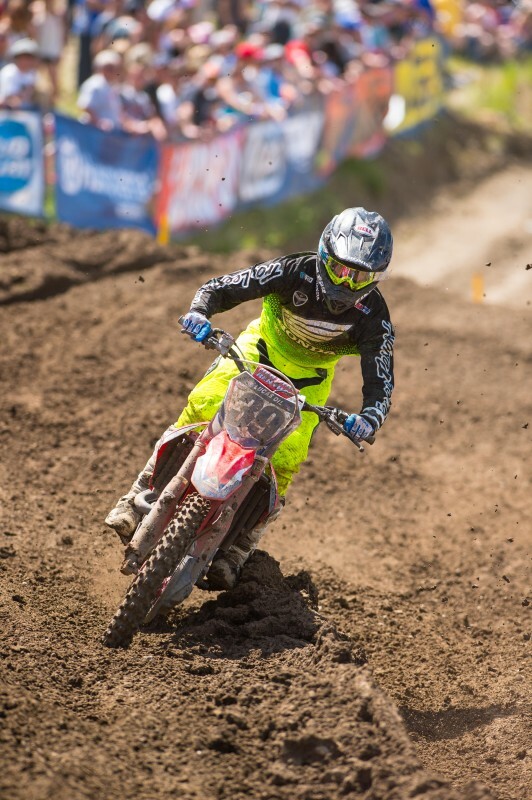 The Californian found his pace during the day’s final race, taking the holeshot aboard his Honda CRF450R and riding to a solid fourth-place result. Fredrik Noren made his 2015 debut with Team Honda HRC and, in spite of some challenges, was able to secure 14th overall with 14-13 moto scores. After GEICO Honda’s Eli Tomac dominated the first moto and extended his perfect win streak to five-straight, it looked as if he would continue his winning ways during the final moto at his home track. 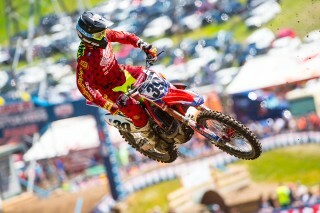 Unfortunately, while leading the field by nearly 10 seconds, Tomac crashed on a downhill, suffering a dislocated shoulder. Although he was unable to finish the moto and collected no points, Tomac still sits second in the championship standings. 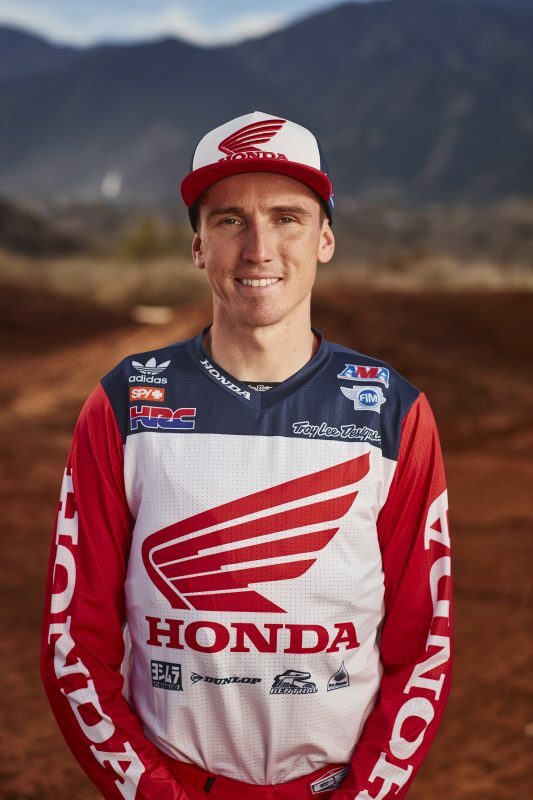 One the eve of the race, Team Honda HRC’s Trey Canard and Fredrik Noren, along with GEICO Honda’s Eli Tomac, Matt Bisceglia, RJ Hampshire and Jordan Smith, attended Sun Enterprise’s annual fan fest, which is one of the largest autograph signings of the year. 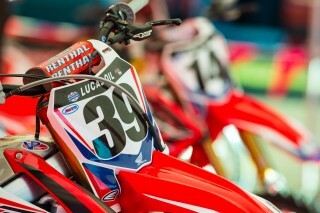 Hundreds of racing enthusiasts were on hand to meet their favorite riders and take part in the festival-style event. 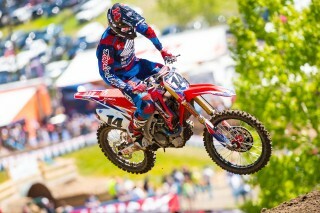 As he had done at the first two races, Tomac topped the charts in qualifying by turning a 2:06.165 lap. 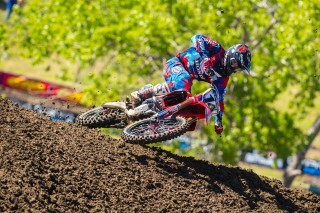 Meanwhile, Seely secured the sixth-quickest time at 2:09.867, while Noren was 17th at 2:12.278. 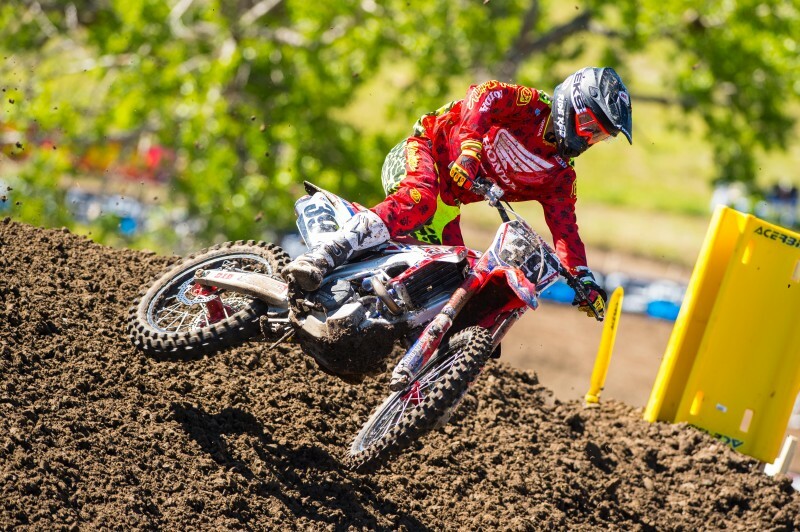 Despite a disappointing end to the day, Tomac proved he was the fastest man on the track by laying down unmatchable lap times in both motos. He recorded a 2:10.281 in the day’s first race, and before crashing in the final moto, he notched a 2:13.391. In both cases, the times were over 1.2 seconds faster than the next-best rider. 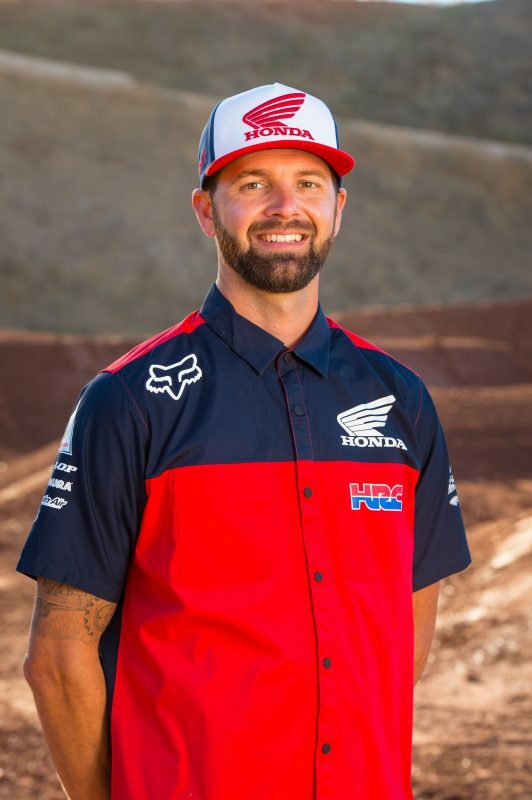 Team Honda HRC has a short week before heading to Muddy Creek Raceway in Blountville, Tennessee, where Seely and Noren will return to action at round four on Saturday, June 6. Prior to that, they’ll participate in Thursday’s press day, during which they’ll give pre-race interviews with the local media. For riders, the lack of oxygen presents similar challenges, as both heart rate and respiratory rate increase at higher altitudes. Acclimatization and fitness are key to performance at higher elevation, but each rider has his own way of approaching the event. “There isn’t a whole lot you can do to become more prepared for the elevation,” Trey Canard explained, “but making sure you’re hydrated is huge and regrouping after each time on the track helps, because it really takes more out of you than you think.